The Galápagos Islands, part of the Republic of Ecuador, are an archipelago of volcanic islands distributed on either side of the Equator in the Pacific Ocean surrounding the Centre of the Western Hemisphere, 1000 Km west of continental Ecuador. The islands are known for their vast number of endemic species and were studied by Charles Darwinduring the second voyage of HMS Beagle, as his observations and collections contributed to the inception of Darwin’s theory of evolution by means of natural selection. WHERE IS OUR COFFEE FROM AND HOW DOES IT GROW HERE? If you add to rich currents the richness risen directly from core of earth to form islands, the very life force or our planet, is clear that coffee can thrive here. Most of the Galapagos Islands are protected by the National Park. Being declared a “World Heritage Site” by the UNESCO, only 2% of the entire area is allowed for agricultural practices and human development. 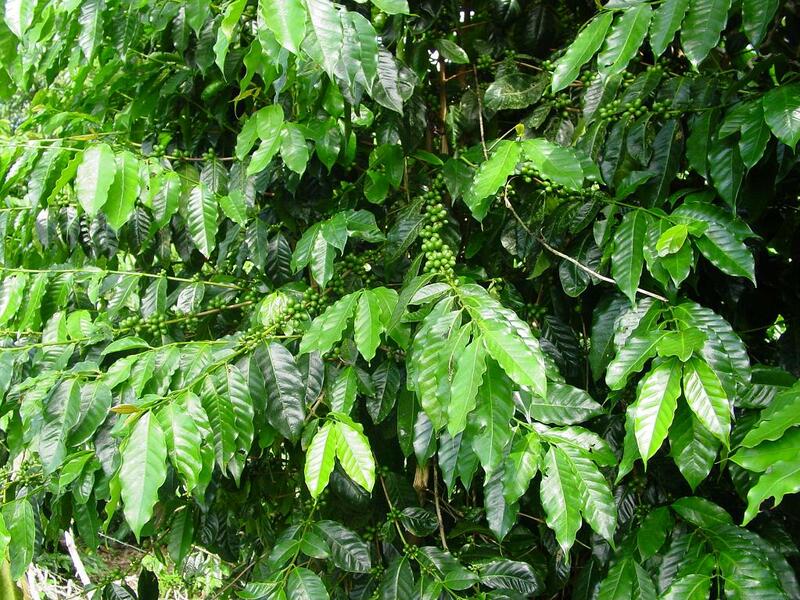 Therefore, coffee is only grown in 2 islands: San Cristobal and Santa Cruz. As a result, production is limited every year. Even though coffee grows in two of the four inhabited islands, the history of how coffee was introduced to each of the islands is a bit different. Productora de Café Galapagos PROCAFE S.A. is a subsidiary company of Expigo Corporation. 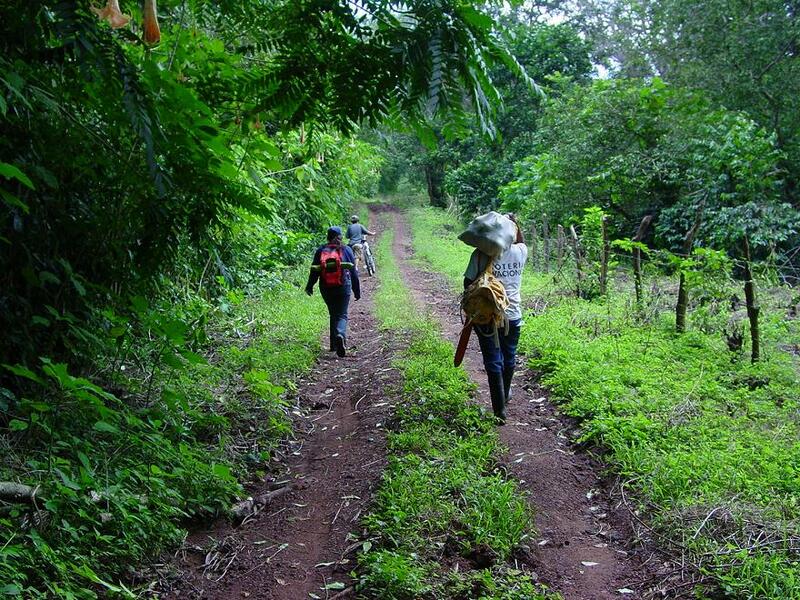 PROCAFE S.A is dedicated to the production, cultivation and commercialization of Galapagos Coffee. As a company, we are the pioneers and developers of the coffee production across the archipelago. Since 1990, we have been producing the finest of coffees and exporting it to the world under the leadership of our Executive President, Mr. Wilson Gonzalez Duche. We currently export to over 12 countries in Europe, North America, Asia and Australia and continue to expand our markets. PROCAFE S.A is the only company with Galapagos Coffee Certificate of Origin, as well as four international certifications that include USDA Organic, KiWi BCS, Bird Friendly and Shade-Grown certifications. As a company, we also believe in inclusion. Which is why we have been working together with local farmers in order to increase Galapagos Coffee yearly production, while paying farmers a fair price. 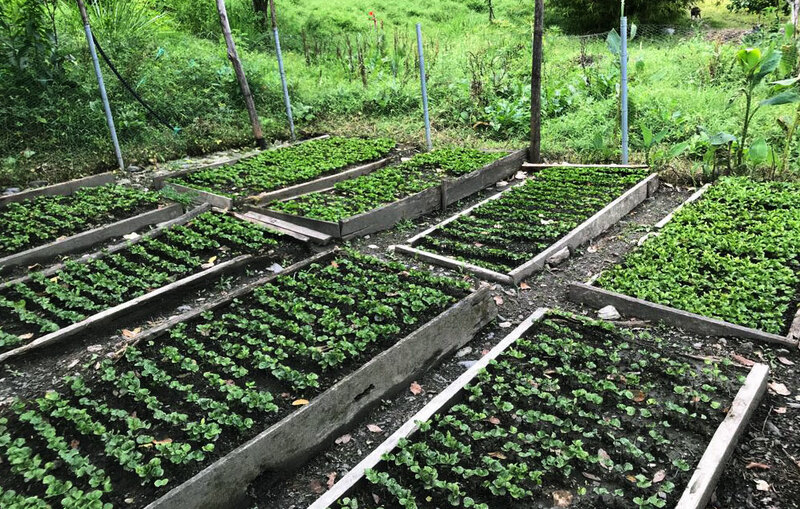 Moreover, we provide technical assistance to every farmer that wishes get involved in the coffee growing process in the islands. This way, we can increase production and standardize processes to provide the world with our extraordinary coffee. Finally, PROCAFE S.A is the owner of the Hacienda “El Cafetal”, the biggest hacienda of the islands with over 300 Hectares of organic certified coffee plantations. We are glad to offer the world our Galapagos Coffee. An exclusive and rare coffee appreciated by even the most demanding palates around the world. 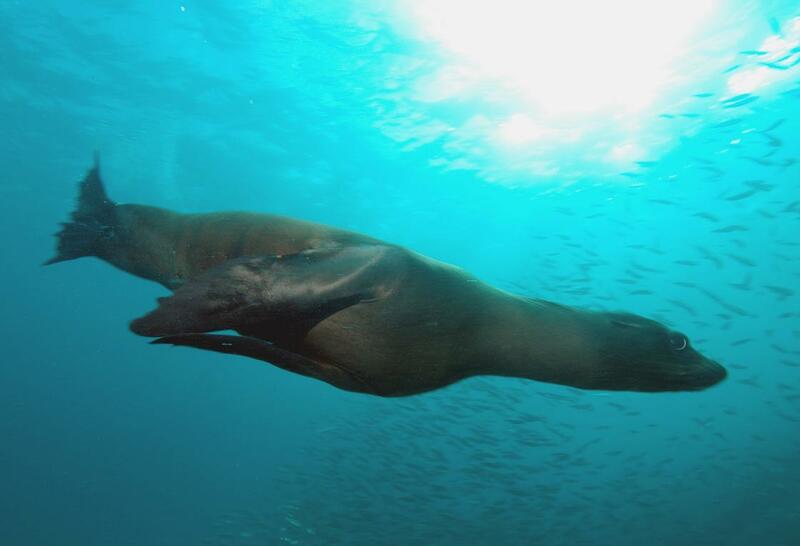 San Cristobal, one of the largest islands in Galapagos, is surrounded by the Humbolt current. The cold sea breeze and the latitude of the island create microclimates that make its flora and fauna exquisite. From 0 to 50 meters a.s.l, you observe the predominant dessert-like environment with cactus and other endemic plants. At 150 to 350 meters a.s.l. you observe an environment equivalent to that of an elevation of 500 to 1,200 meters a.s.l. This is where our HACIENDA “EL CAFETAL” is located. 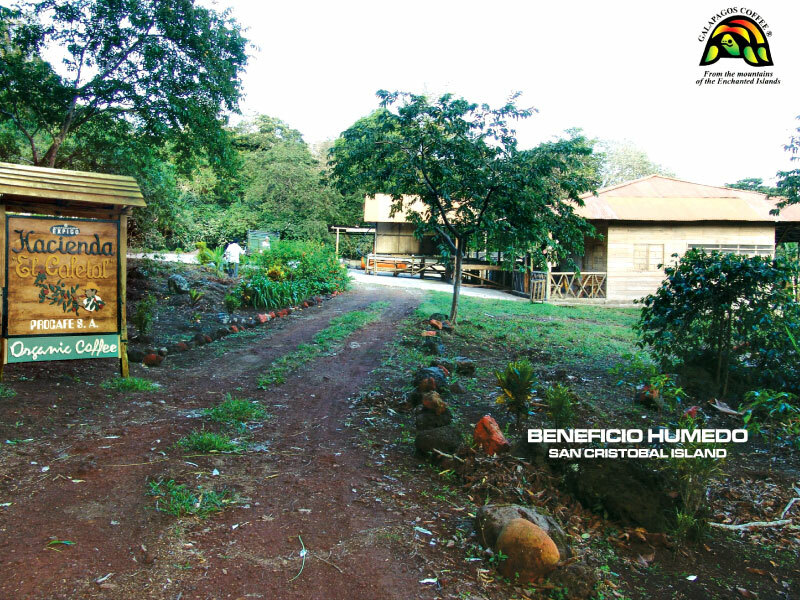 Our hacienda is privileged by having the abundance of fresh water coming from the small rivers fed by El Junco. El Junco is a volcanic crater lake, which lies at 1,350 meters a.s.l flowing gently down slopes. Its water contains minerals that enhance the vegetal diversity of this unique land. In 1875, Don Manuel J. Cobos, first warden of the island and a smuggler of goods from Panama to Ecuador, Moved to San Cristobal as he used the island as a hub for his shipments. He was a coffee aficionado, so in one of his ships, he had brought Arabica Bourbon Coffee Trees from the French Polynesia and planted the first 1,000 hectares of ARABICA BOURBON COFFEE, in our hacienda EL CAFETAL, which is located on an ideal place that allows the growth of an excellent coffee with good acidity, strong aroma and body. Unfortunately, after a turbulent historic period, in 1915, where he was killed by his workers who he often treated as slaves, the plantations were abandoned and converted in an inaccesible coffee forest. In 1990, the Gonzalez Family, a group of tradicional coffee exporters of Ecuador, discovered the plantation and acquired the property. The Gonzalez family began the renewal process, increasing the area of production. Declared by UNESCO as a “Heritage Site”, The Galapagos Islands laws prohibit the use of pesticides and other chemicals for agriculture. Our mission is to preserve full organic and eco friendly practices. For this reason, we have various international certifications that guarantee the quality of our unique coffee in the world. The Galapagos Islands are very young in comparison with the rest of the Earth (4.5 billion years old). The Islands were formed not by volcanic crashing tectonic plates, but by direct magma upwelling from earth hot core. Santa Cruz Island “only” around 2 million years, veritable youngster. This Means more nutrients since less use young land. Also, Humans have not lived here long enough to deplete nitrogen. SANTA CRUZ: A CRAZY PLACE TO GROW COFFEE! Baltra was used as an American Air Force Base during World War II. After the war, the Ecuadorian government recovered the island and encouraged mainland citizens to move to Galapagos. This is how coffee was brought from the Mainland, particularly from the provinces of “El Oro” and “Loja”, provinces known for their coffee culture. However, coffee was not cultivated commercially or even for local consumption until the year 2,000, when the Gonzalez family, with their experience in the mainland and in San Cristobal, decided to expand the coffee production to Santa Cruz as well.